“How the Bard Won the West” changed my life. In my spare time in graduate school, I was writing a novel of magic realism set in an imaginary state between Arizona and New Mexico, and doing a lot of research on the Chiricahua Apache. 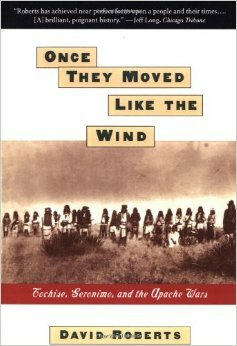 On a trip home to Tucson, I read David Roberts’ marvelous book Once They Moved Like the Wind: Cochise, Geronimo and the Apache Wars, which made me entirely rethink the history of the land I’d grown up in and love deeply. The author’s bio said that David lived in Cambridge, Massachusetts — where I was living at the time, as well. So I wrote him the first and only piece of fan mail I’ve ever written. He wrote back. We got together for a drink, and he encouraged me to think of writing for a wider audience. He showed me how to construct a proposal for the Smithsonian, and then he hand delivered it to his editor there. Lo and behold, they bought it. 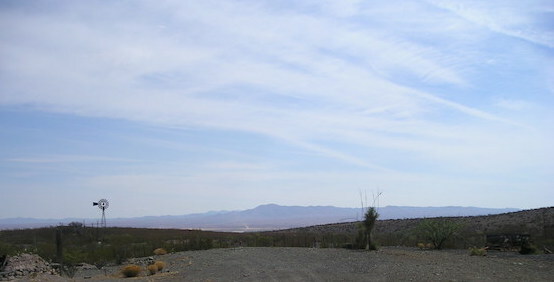 That summer, I drove 1200 miles around the American West, ferreting through mining claims in county courthouse basements, hiking into hills in search of abandoned mines, climbing onto faded stages in old boom towns, and wandering the streets of ghost towns. I pored through biographies of the nineteenth-century actors beloved on those stages, and read old histories of the American theater. looking for reviews of performances in frontier newspapers, I spun through reel after reel of microfilm, until my eyes spiraled like a cartoon character’s. I called up boxes of memorabilia from historical society libraries, and I read the biographies and memoirs of ranchers, cowboys, mountain men and prospectors hailing from Mexico to Canada, the California coast to the Mississippi River. The following year, in August of 1998, “How the Bard Won the West” appeared in the Smithsonian Magazine. Only a fraction of all of that original research went into the article, however. The rest now sits in several files boxes, sadly a little worse for wear from packrats (a perennial hazard of desert life). But the journalism bug had bitten deep. I kept feeding the Smithsonian proposals until they took another, and another. And then I took the leap into the free-lance world, which felt at the time more like free fall. Eventually, I wrote a piece on Newton and his interest in alchemy and magic… and that led, in turn, to my first book, on smallpox, which led in its turn to Interred With Their Bones: and back, at last, to Shakespeare in the West. Only then I was free to invent, to build a castle of dreams upon the bones of fact. Dunn, Esther Cloudman. Shakespeare in America. New York: Macmillan, 1939. Koon, Helene. How Shakespeare Won the West: Players and Performances in America’s Gold Rush, 1849-1865. Jefferson, NC and London: McFarland and Co, 1989. MacMinn, George R. The Theater of the Golden Era in California. Caldwell, Idaho: The Caxton Printers, 1941. Teague, Frances N. Shakespeare and the American Popular Stage. Cambridge, UK and New York: Cambridge University Press, 2006. Watson, Margaret G. Silver Theatre: Amusements of the Mining Frontier in Early Nevada, 1850 to 1864. Glendale, CA: H. Clark Co., 1964.